We found the historic Route 66. I can definitely see why they stopped using it! It was HOT!!! but beautiful! after almost never appearing on my blog, I’m making a regular appearance with the help of the remote. I really like these pictures, and no not because Dylan is in jail! I really like the perspective and focus. Love the scenery and the neat trees. Finally we made it to Nevada! 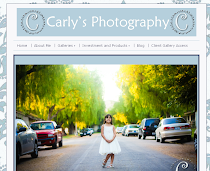 I am working on a new web site for my photography business. I have it all ready to go, I just need to decide it is 100% ready and launch! FYI, I still plan to blog here a mix of personal and professional. Stay tuned for more details! Awsome pictures!! That must have been so much fun.